The new Mitsubishi Lancer Evolution will have an updated version of Mitsubishi’s S-AWC (Super All Wheel Control) all-wheel drive system. 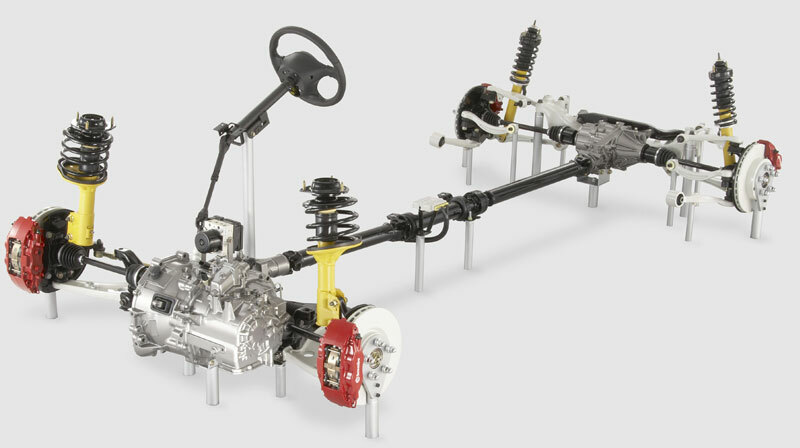 An improvement over the old system is the new addition of ASC (Active Stability Control), which adds to the existing ACD (Active Center Differential), AYC (Active Yaw Control) and Sport ABS (Sport Antilock Brake System) components, as well as yaw rate feedback control. All four systems work together to provide the Lancer Evolution driving experience, managing torque and braking force to each of the four wheels with precision. There are three operating modes – TARMAC for dry and paved surfaces, GRAVEL for wet and gravel surfaces and SNOW for snow-covered surfaces. Most will probably drive it in TARMAC mode most of the time. 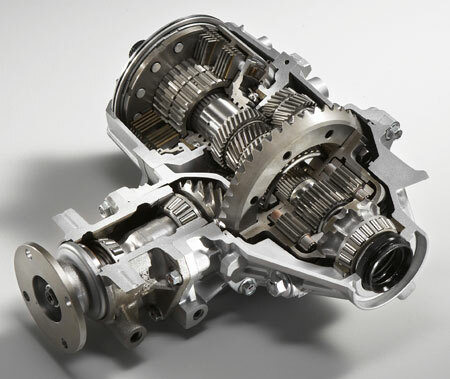 This system uses an electronically-controlled hydraulic multi-plate clutch which optimizes clutch cover clamp load for different driving conditions, regulating the differential limiting action between free and locked states to optimize front/rear wheel torque split. 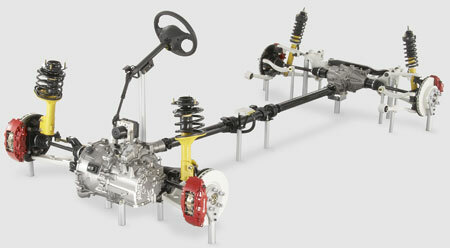 This produces the best balance between traction and steering response. 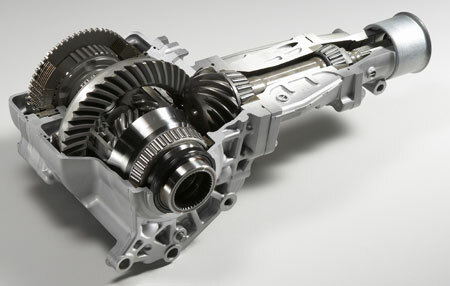 Active Yaw Control adjusts torque in the rear planetary gear differential to limit yaw movement. This enhances cornering performance. AYC also has an LSD-like effect on the rear diff, suppressing rear wheel slip to improve traction. This new version of AYC improves on the version in the Lancer Evolution IX by adding a yaw rate sensor as well as brake force control. As I’ve mentioned before, this is something new in the S-AWC system. It manages torque and brake force at each wheel, and has a brake pressure sensor at each wheel to allow more precise control. It’s basically the new Lancer Evolution’s version of stability control systems like DSC and ESP. The system can increase braking force on the inside wheel during understeer and on the outer wheel during oversteer situations in concert with torque transfer management for better cornering performance. This is a special ABS system tuned for sporty driving, serving a function similiar to any other ABs system – it prevents the wheels from locking under heavy braking.